The hairy lime stared at me. It had a strange mouse-like tail protruding from the bottom end of it and thus I wasn’t entirely sure whether I should reach out and touch it or just continue staring aghast. It wasn’t a lime, or a mouse for that matter, and given that it was surrounded by other vegetables it seemed reasonable to assume that it was also a member of that family. I felt a bit bewildered at this point. In front of me stood a wall of weird and wonderful new vegetables, yet so far all I’d dropped into my basket was a packet of biscuits, a small bottle of mango juice, some bread rolls, a roll of toilet paper and a little pot of ‘extra strong’ insect powder that promised to kill cockroaches when applied to areas in which, ‘insects are most likely to run through’ (so…everywhere). I was filled with a sense of dread and intrigue at the sight of all these potential ingredients. They were right there before me, willing me to transform them into a delicious dish, yet simultaneously mocking me as they could tell I lacked the culinary skills to utilise them. Other people seemed to know what to do. They’d all grasped one of the small, clears bags provided for such an event and were promptly rummaging through the treasure trove of organic delights. ‘Why can’t I be like them?’ I pondered in a self-pitying fashion. This was my first experience in Kulshi Mart, the local supermarket (which I have mentioned previously). Fortunately this tale of food ignorance woe refers back to my initial days in Chittagong, way back in March. In the subsequent months the fear of vegetables has subsided somewhat, and having once eyed them with a significant degree of suspicion and anxiety, I now realise they’re here to help me, to enhance my life, and to furnish my palate with a vast array of flavours and textures. It’s fair to say that I’d led a sheltered existence in terms of vegetable discovery up until this point. At university our relationship had broken down completely. In the Czech Republic vegetables seemed to consist of potatoes, potatoes, onions and potatoes. Rwanda did at least rekindle some fond memories of a vegetable bygone era, but the absence of a fridge made them less desirable. Yet now, here in Bangladesh, I have an opportunity to change this, to boldly confront the ignorance of the past and to enter a new, enlightening period, which will see my plate decorated with the shapes and shades of a new dawn of dining experiences. Well, not quite, but I can safely say that I would have no problem whatsoever committing to full vegetarianism here in south Asia. Now, on a not totally unrelated subject…. Imagine it. You’ve just woken up. You’re bleary-eyed, a little dazed and almost certainly a little confused. You’re wearing a strange nightgown (this is crucial). Unsure about your whereabouts you step tentatively outside onto your balcony, rub your eyes, and stare out to see what this bright new dawn has to offer. Progressively the street below begins to breathe into life. It kicks off with roses – sweet, red roses, and then milk, pales of fresh milk. Ripe strawberries follow and a trusty knife grinder offers to see to those blunt blades. His deep, baritone voice in stark contrast to the high-pitched gentle harmonies of his female counterparts. At this juncture, anyone with a keen eye for musicals and some Charles Dickens will have guessed that the scenario I describe is a scene from the musical version of ‘Oliver’. For those of you who have absolutely no idea what I’m referring to and who may well be concerned about my fragile sanity, watch the video below, which will hopefully shed some light on my typically inane ramblings. I’d also like to reveal that I hold only a modicum of embarrassment/shame for being particularly fond of this particular scene. It’s a classic in so many ways. You are permitted to judge me forthwith. Just click on the link directly below. Apologies for the French subtitles. So you’re probably wondering how this relates in any way, shape or form to Bangladesh. 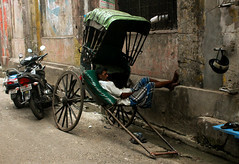 Well, a similar scenario is played out below my tiny ‘balcony’ on a regular basis here in Chittagong. 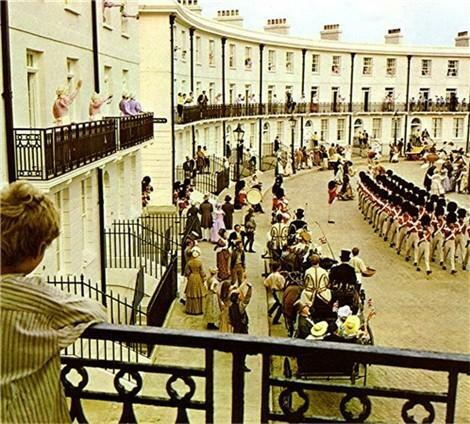 I’d be lying if I said Kulshi Road Number One (my new street – I moved by the way) bore any real physical resemblance to the Royal Crescent in Bath (where this version of ‘Oliver’ was filmed). The sparkling, white-walled, 19th century high terraces that curve around the central, luscious green parkland are a far cry from the narrow, pot-holed avenue, which lies beneath my small, barred balcony, enclosed within the claustrophobic buildings that tower above. It would also be risky to presume that the characters who fill my street with the cries on certain mornings do so with the same joy-filled gusto and gaiety displayed by the Victorian skipping minstrels in the video. Even if you wanted to prance down the street carrying a ladder, or saunter along singing a merry tune, you’d probably be hit by a CNG driver or drowned out by the car horns and the barking stray dogs. However, despite all of this, in many ways the principles are the same. You have something to sell, so you go and find the people to sell it to, because they may not come to you. Thus, in the true spirit of Oliver Twist, you go to the people and you shout as loud as you possibly can (repetitively) so they know you’re there. You’re right outside, underneath their balcony. Sometimes you even make eye contact with them as they shower (this happens…believe me). The other similarity is the energy and the vibrancy of the two streets. My new street is small and cramped, but it oozes character and is a cauldron of intense sights and sounds. Sometimes it’s hard to escape them. It’s just a more traditional trading experience. A method of sales which perhaps died out sometime ago in the UK, but one which may have thrived back in the day. I like the concept. It’s more personal, far more interactive and generally just more natural. I have little evidence to suggest this sales strategy works as I’ve never actually witnessed anyone responding to the street traders’ calls. However, there must be a reason they’re present most weekends, their booming voices calling on people, willing them out onto the street. 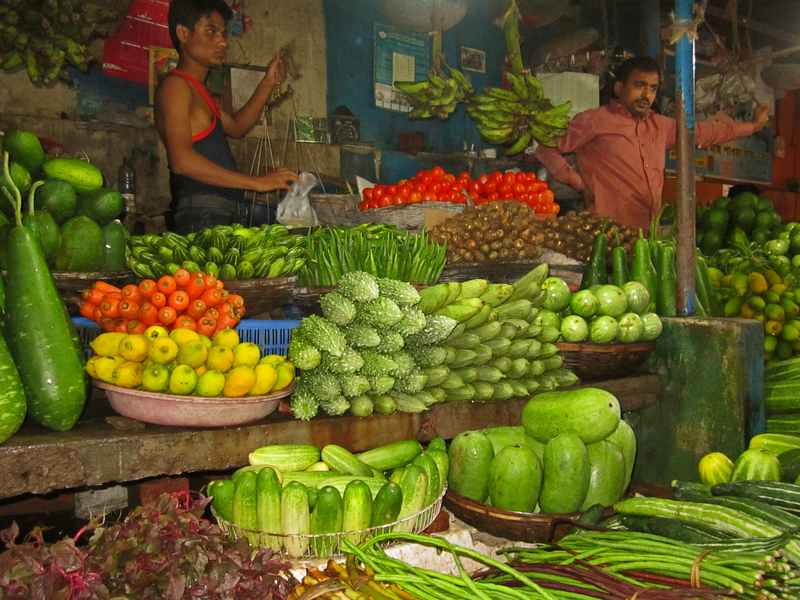 So that’s a short and generally uncoordinated personal reflection on two different shopping experiences in Bangladesh. 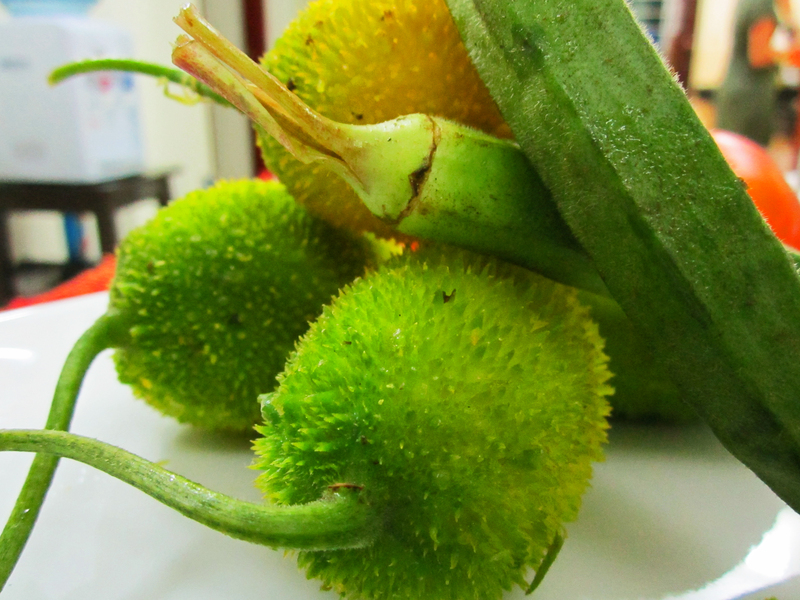 As for the hairy lime with the mouse tale I mentioned at the beginning, I subsequently discovered this vegetable to be ‘Kakrol’ (also known as Teasle Gourd). It’s an odd vegetable and is much like marmite in that it seems to severely divide opinion. I love it. Others hate it. It has a distinctive crunch as you bite into the seeds and the texture is certainly not to everyone’s liking. However, cooked in turmeric and red chilli powder with some fried onion and garlic, this vegetable is fast becoming a favourite of mine. 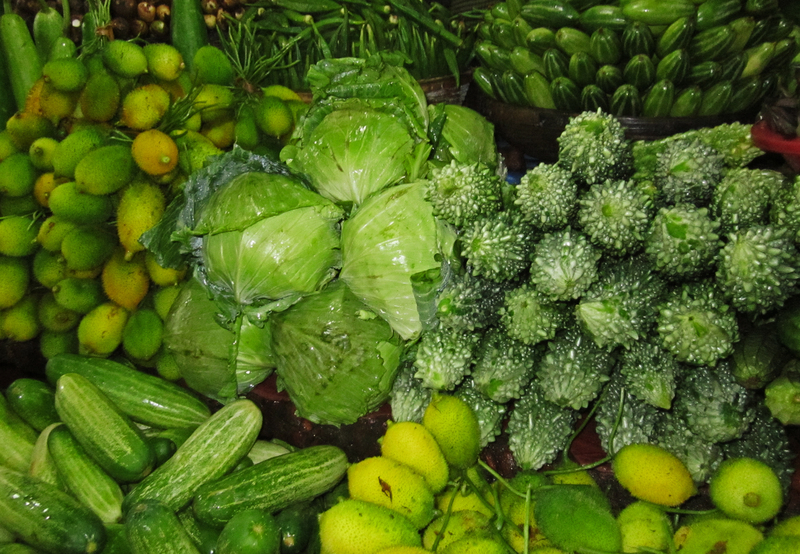 As I said before, vegetarianism is an easy, delicious, and ultimately very satisfying way of life here in Bangladesh. These are just some of the items that are displayed in baskets or on the back of wooden wagons down in the street below on a regular basis. This entry was posted on October 29, 2011 by johnstanlake. It was filed under Uncategorized . Very engaging write-up. Sharing it on Facebook. Thank you Kajari! I’m glad you enjoyed it. I wrote this a while ago, so it was nice to come back and read it again after your reminder! Thanks for sharing it too.